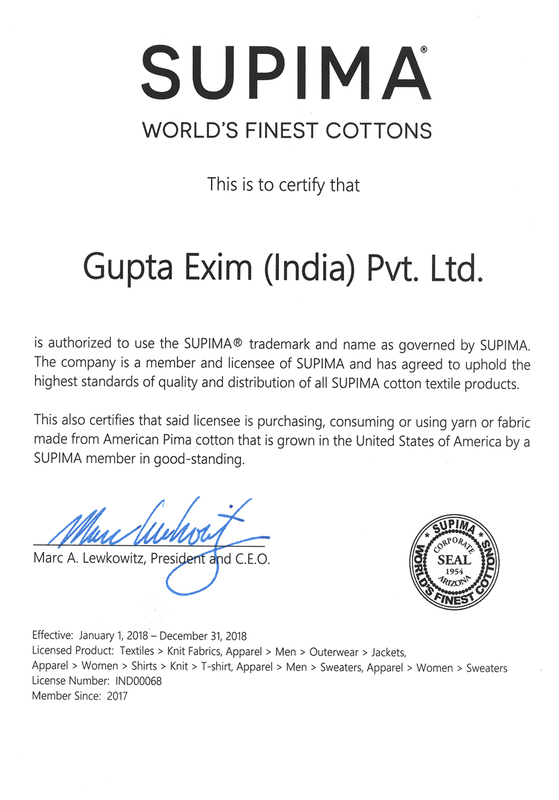 Gupta Exim is a reputed business house engaged in the manufacturing and printing of knitted fabrics. 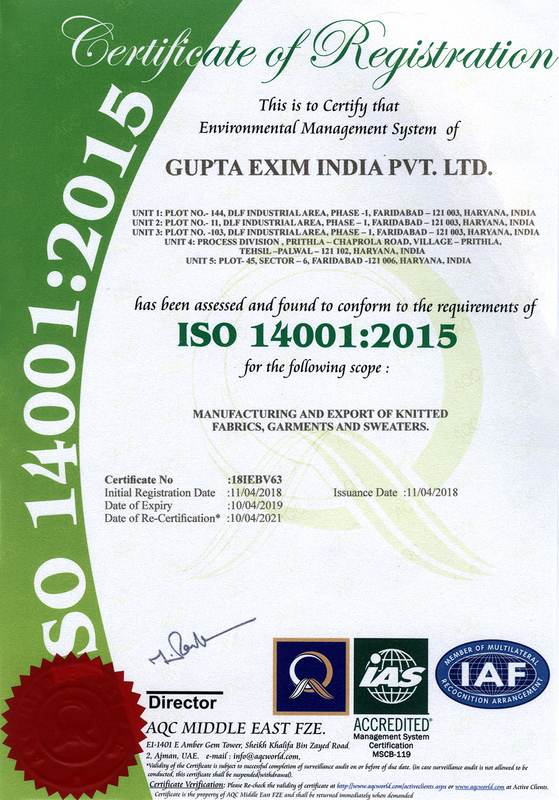 Driven by the principle of quality, the company has earned appreciation from various authorities. 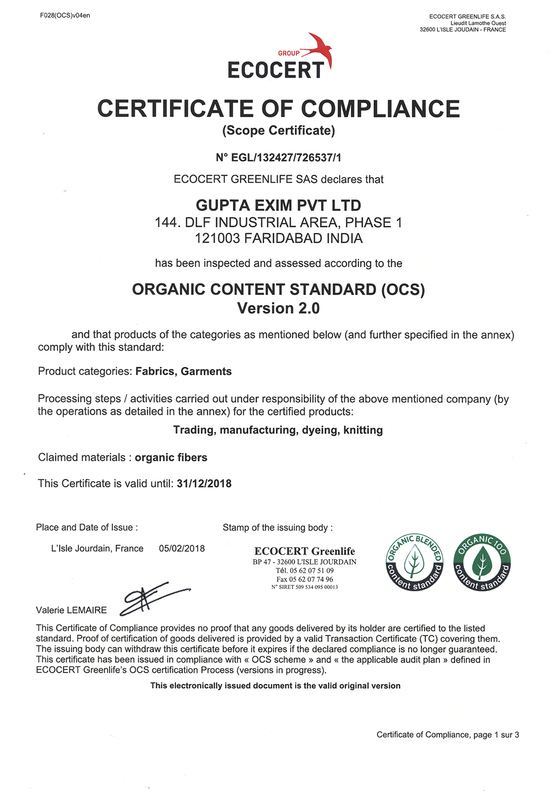 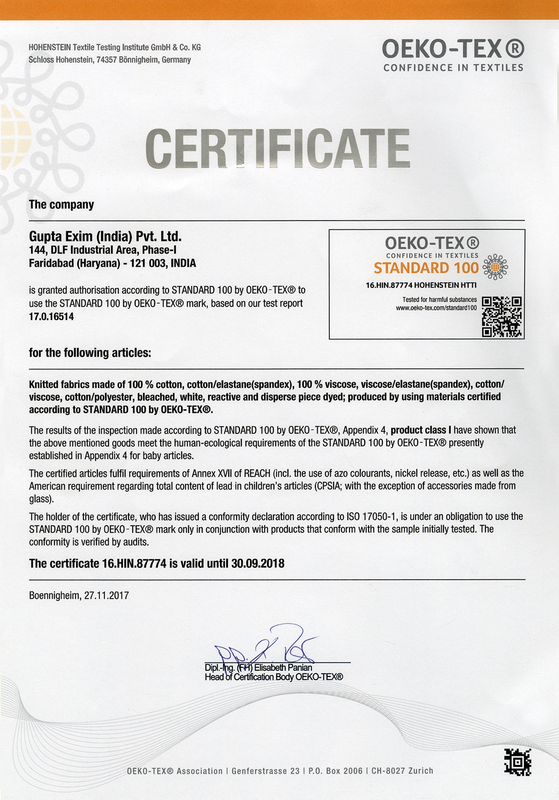 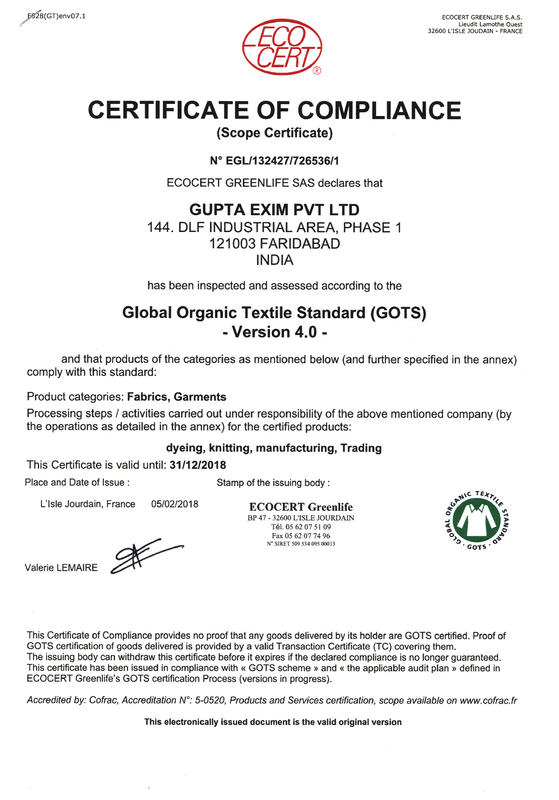 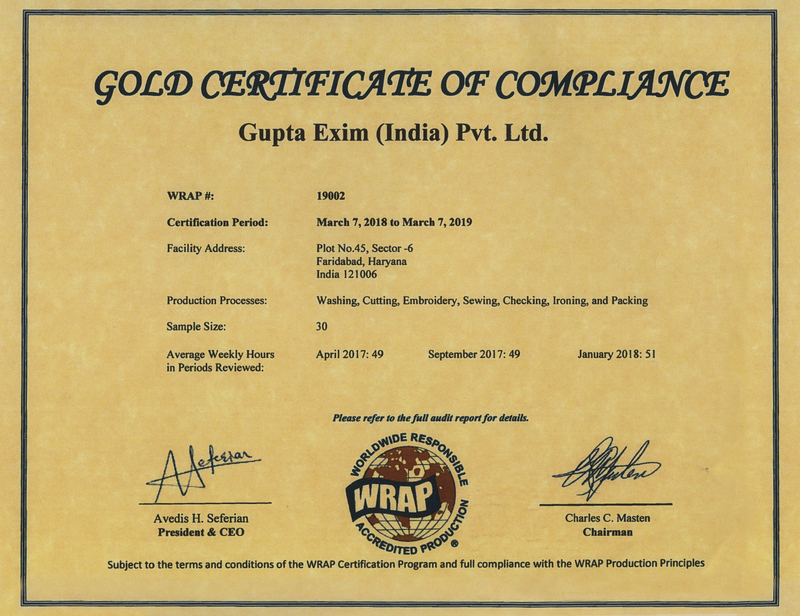 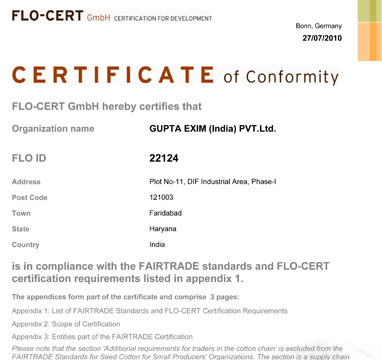 At Gupta Exim, a defined set of procedures is in place coupled with certifications from X-RITE (GAP), SUPIMA, FAIRTRADE, OEKO TEXX-RITE and ORGANICS (GOTS) stamping the level of trustworthiness in all products bearing the mark of Gupta Exim.